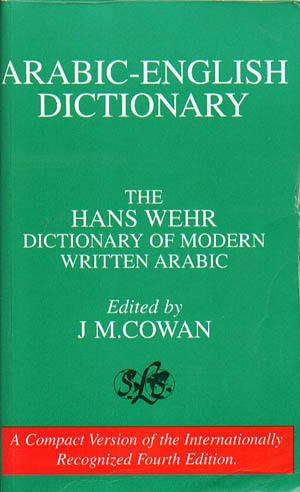 The Hans Wher Arabic Dictionary is a must have for language students. This dictionary provides the serious student of the Arabic language with an essential resource in their pursuit. It’s a great resource because it groups entries by the three letter root system and it gives examples of use. 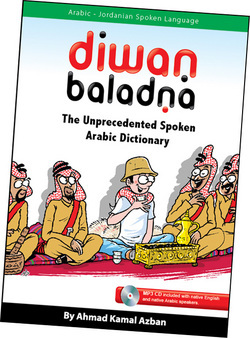 The second book in the Diwan Baladna series, The Unprecedented Spoken Arabic Dictionary, gives students at all levels a comprehensive guide to actual spoken Arabic. This edition focuses on Jordanian Arabic, and will help you translate common (but important) phrases and words into Arabic. 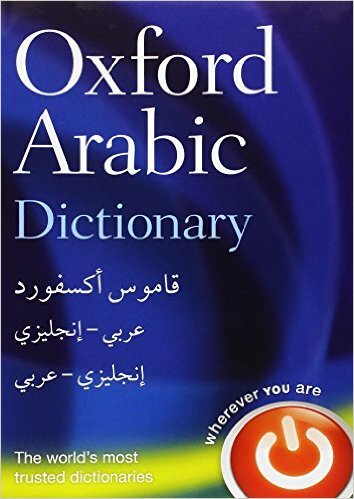 One of the premier English-Arabic dictionaries in the world, the Oxford Arabic-English Dictionary includes over 130,000 words and phrases and 200,000 translations. The dictionary also includes vowels to assist with pronunciation and comprehension, and the Arabic-English section of the dictionary is usefully organized by root, listed alphabetically.